Master Password serves for encryption and decryption of Secure Graph Parameters. 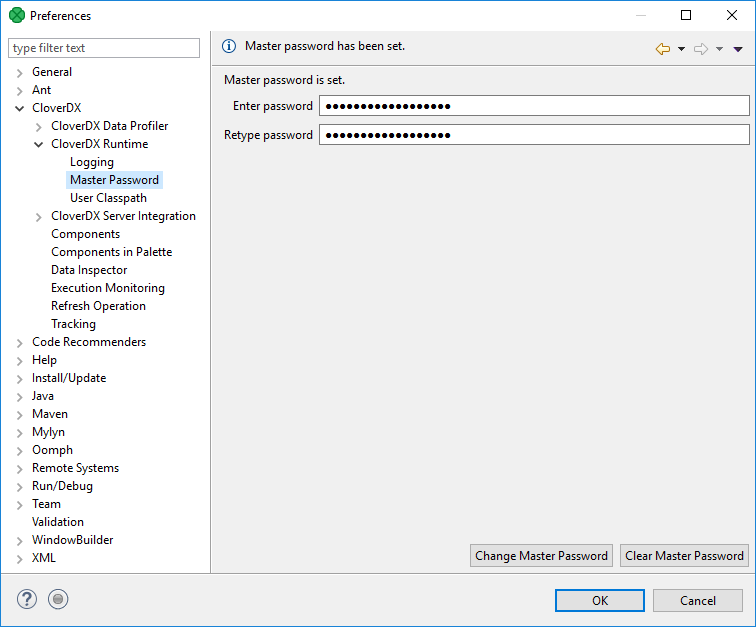 You need to set up the Master Password to be able to use the Secure parameters on CloverDX Designer. If you use the Clear Master Password button, restart of CloverDX Runtime is required.